Right now, tell me: whats the most epic album you can think of"
Not to hold any grudges against the demographic of this site, but many of you will have answered Tool's 'Lateralus', Opeth's 'Blackwater Park' or even Green Day's 'American Idiot'. Many more of you, the smug indie bastards mainly, will scoff at these claims and declare with an air of greater-than-thou that Godspeed You! Black Emperor's 'Lift Yr Skinny Fists' is the most epic album ever. and there, i agree with you. Or i did. 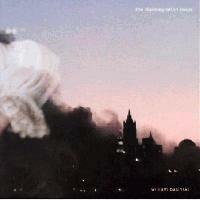 until i encountered William Basinski's epic four-album series, 'The Disintegration Loops'. A Trained clarinetist, saxophonist, and classical composer, Basinski seems a likely candidate for Brian-Eno style minimalism, or a healthy dose of 'Skinny Fists' inspired grandiosity. What basinski did, however, is render both of these artists and albums, and many others, in their own right completely redundant. The Disintegration Loops was born when Basinski discovered a collection of old tape loops he had recorded in the late 80s in his home. Liking what he found, Basinski decided to digitize the loops before the tapes they were on disintegrated too badly. However, he found the tapes already damaged. In fact, the very process of recording them was causing them to fall apart further. And so, on the spot, began what has come to be known as the 'Ring Cycle' of experimental music. Basinski immediately ran the tapes further and recorded the results: 4 albums, 5+ hours of music, documenting the death of a piece of music. d|p1 is not for the impatient. The loop itself fades from necessity, simply becoming the means by which the passage of time is played. A grandiose, plodding, unrelenting format that creates a tense air of menace. As pieces of tape come away spikes of noise and rustling click through and eventually dissolve into the unrelenting, chaotic window of sound. The only textural comparison to be found anywhere in this piece is the speed at which new sounds dissapear. To describe this piece in mere words is to not do it true justice. Like a masterpiecee of art, one must encounter it personally and dwell on their own thoughts. Damn, this is a difficult album to review. But for anybody who likes something out of left-field, this is a must-have piece. 5 stars, a modern classic. This review is pretty meh. You need more detail. I agree, it wasnt super-detailed, but not bad. Ive never heard of this, what kinds of music is it? I very rarely say this about reviews, but this one was absolutely terrible. The introduction, for one thing, is one of the most arrogantly pretentious things I've read on this site. The review itself, is equally horrendous, because it's completely inane. It has no substance whatsoever- I know nothing about this album now. On top of all of that, the grammar is severely lacking: not capitalizing "I" in reference to yourself, or any other proper nouns for that matter, is pretty much inexcusable. I would expect something of this caliber from someone new to the site, but with 10 reviews already under your belt prior to this one, this just seems overly-hostile and lazy. Better luck next time; try harder, please. To describe this piece in mere words is to not do it true justice. If you think your incapable of describing the music, please don't try. See my Birds of Fire review. try not to be such a douche. yes the review needs more content about the music, but you don't have to lay into him. The first paragraph is funny. this is an essential piece of ambient music. i actually like it better then any of eno's ambient albums. Album is great, I like the 2nd Disintegration of Loops more though, D|P 3 is one of the most beautiful things ever. This album is the cure to insomnia. It's really hard to decide which one of the disintegration loops is better.